Time for a garage floor facelift this winter? Some experts claim that the fluids that drip from your vehicle and are left unattended are what cause all the pitting and damage to the concrete surface of your garage floor. In Canadian cities, winter climate conditions mean that road and highway maintenance requires snow melting products, so it’s very likely that salt is also responsible for some of that damage. You don’t have to wait ’til spring to alleviate further damage. 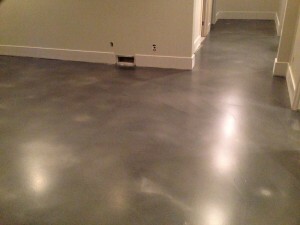 Here at Hardscapes we can do garage floor coatings all winter long. 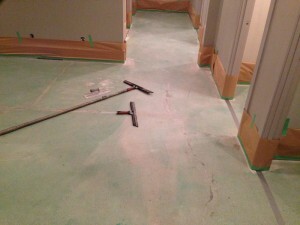 Our polyaspartic floor coatings are able to cure even in our cold Calgary winter temperatures. 100% UV resistant, polyaspartic coating will provide years of easy maintenance and it’s non-skid texture ensures safety. And…it’s not only practical but looks amazing too! 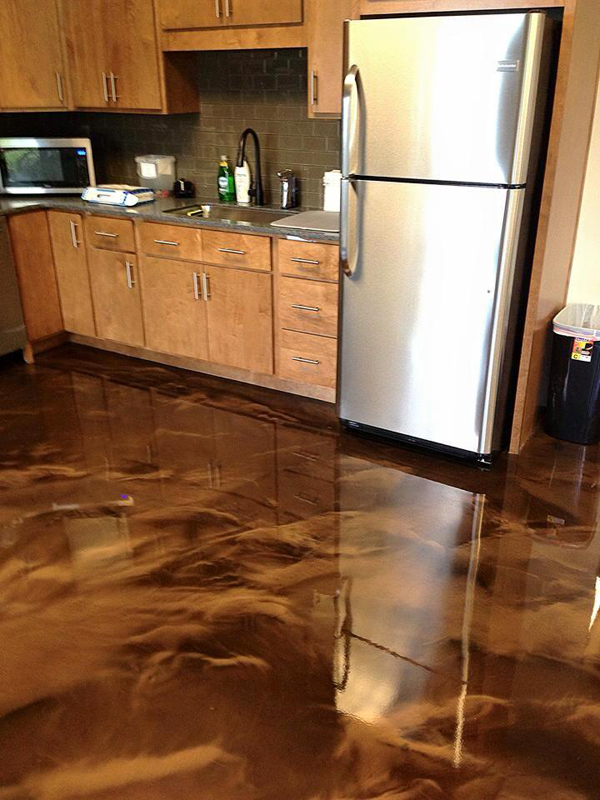 Hardscapes has solutions to address your garage floor issues. Get in touch today at 403-547-5597 for a free estimate. 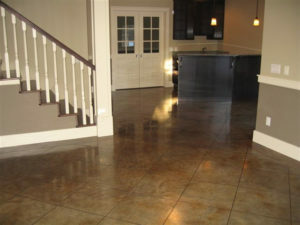 Flake broadcast flooring has a scattering of decorative flakes sandwiched between the base coat and the finishing coat. The flakes are either polymer (plastic) or reflective metallic, also known as chips, and come in a wide range of colours and sizes. The flake system has a granite or stone appearance. Surface preparation is the basis for all of our coating jobs. We take prep very seriously as it is the leading cause of failures in coatings. Some manufacturers offer a 20 year warranty on their products, however, if the floor hasn’t been prepped properly, those manufacturers will not replace the product and the client is left to battle with their installer. The key to a successful coating, like any construction project, is a contractor with integrity! Hardscapes maintains long-term relationships with manufacturers, suppliers, and clients alike by providing high quality products with high quality installation. Flake broadcasts floors are just one of many flooring options that Hardscapes is proud to stand behind. Take a few minutes to view our video. Want to learn more about these products and systems? Give us a call at 403-547-5597 to discuss how we can give you the flake broadcast floor that’s perfect for you. Unseemly cracks in your basement floor? 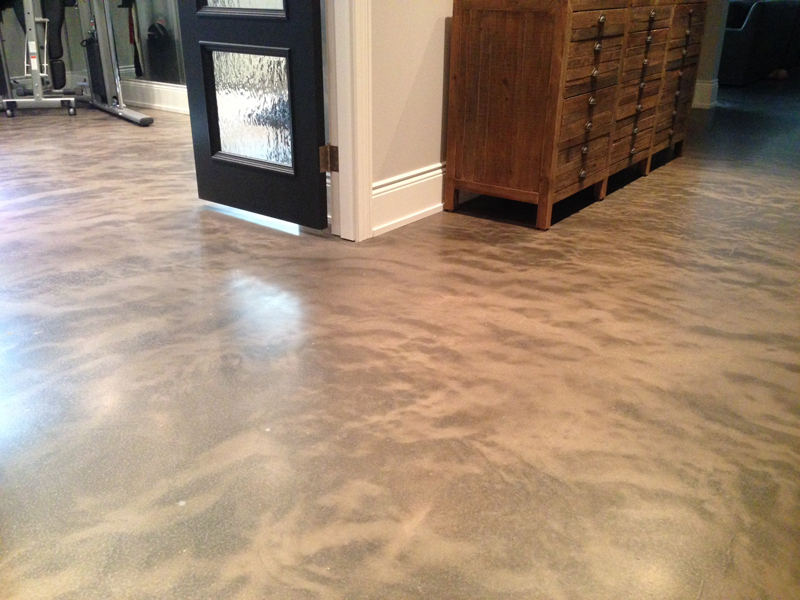 This cracked up basement floor was beautifully restored by us here at Hardscapes Inc.
After grinding and patching, our client’s floor received an overlay of Elite Crete’s thin Finish. Once dry, it was stained for a gorgeous titanium mottling. Top coated with Elite Crete E100 PT1 epoxy and a satin polyurethane, this floor will stand up to the daily abuse of kids, toys, pets for years to come. From straight line to circular patterns, we specialize in decorative engraving & staining and offer options to create a unique design to freshen up your flooring. Hardscapes has solutions for high-end custom home builders, general contractors and residential homeowners, as well as, retail/commercial flooring, restaurants, and warehouse/industrial flooring. Get in touch today at 403-547-5597 for a no-obligation quote. We look forward to working with you to make your ideas a reality! If you were considering selling your home but think you’ll just wait until the market rebounds, it may be the perfect time to give it some TLC with a much needed and long overdue restoration or renovation. Why not be proactive? When things turn around, and they will, you’ll be ahead of the game and ready to throw that For Sale sign on the front lawn knowing that your investment will pay off! 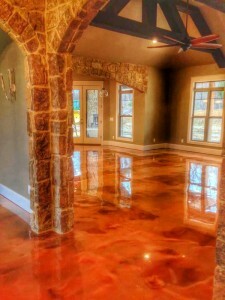 Hardscapes has been installing architectural concrete finishes and coatings since 1996 and specializes in residential decorative concrete overlays, engraved and stained concrete floors, epoxy coatings, and garage floor coatings. With 20 years experience combined with our attention to detail and high level of customer service, we take pride in every project we undertake, no matter the size. We’re here to answer all your questions and to discuss your ideas. Book a FREE personalized quote or call 403-547-5597 today! Hardscapes creates original custom floors by incorporating logos, decorative graphics & branding colours. Perfect for many applications from retail, office, hospitals, lobbies and schools, to restaurants, showrooms and industrial warehouse/ commercial properties. Hardscapes’ solutions are tailored to your specific needs and preferences. Our custom seamless high performance flooring is available in unlimited colours, effects, textures and logo options that offer easy maintenance, resilient wear and tear and durability, and UV and chemical resistance. We’re a one-stop concrete flooring shop for anything from simple solid colour choices to beautiful, but more complex multi-coloured stained and metallic reflector floors. 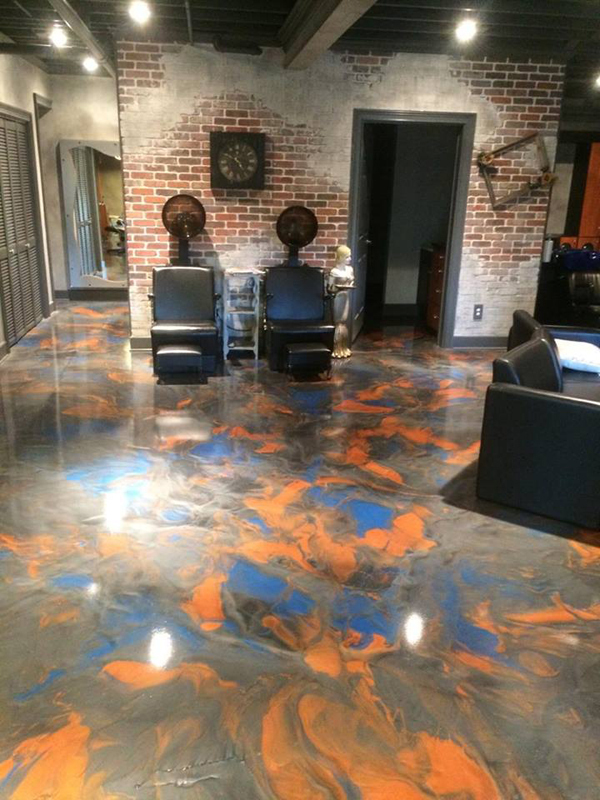 View Logos & Custom Floors. Get in touch at 403-547-5597 to discuss your project ideas. We’ll get you started today! REFLECTOR™ Enhancer Floors continue to be one of the most popular choices for commercial, industrial and residential applications, popular amongst property owners, architects and specifiers. 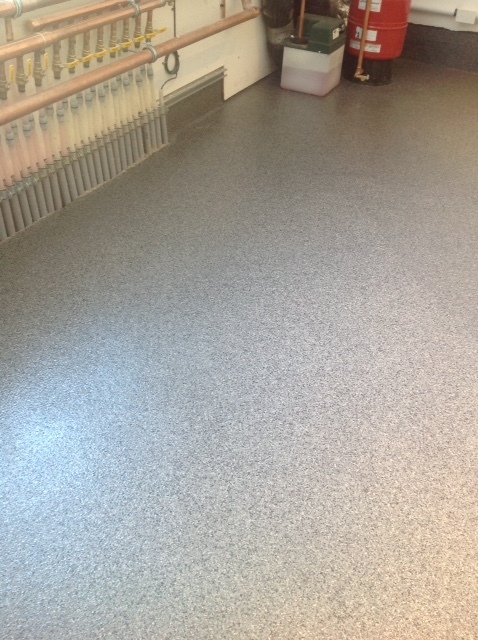 REFLECTOR™ Floors are fluid-applied and poured in place, fast set for quicker turnaround time. They are completely self-levelling, ultra-durable and unique. 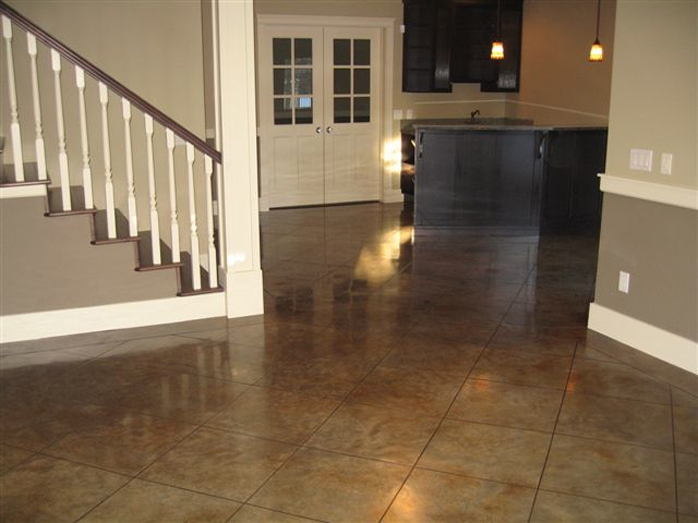 Compared to other types of floor coverings, the cost effectiveness just cannot be beat. Most REFLECTOR™ Floors are less colourful than those portrayed in the images below. There are unlimited colour options, combinations and visual patterns/textures and this flooring system can have gloss or satin finishes. Special colours can match design or preferred colours making each REFLECTOR™ Enhancer Floor an original reflection of your home or business. Want to learn more about these products and systems? Give us a call at 403-547-5597 to discuss how we can give you the REFLECTOR™ floor that’s perfect for you. Did you know that radiant heated concrete flooring is even an option? You may not be building a new home, but if you are thinking of resurfacing your existing concrete basement floors, radiant heating may be an idea you want to explore this fall. Radiant heated concrete floors can provide both beauty and warmth under foot, resulting in a more comfortable living environment. 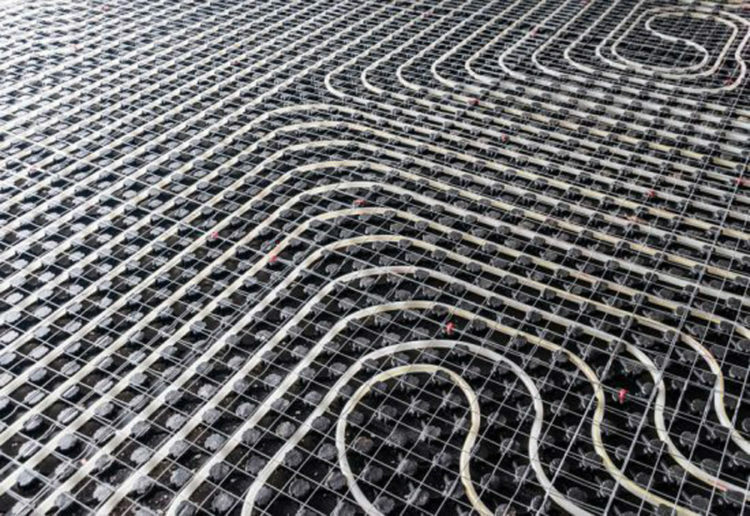 In fact, concrete floor radiant heating consumes less energy to achieve the same level of comfort, ultimately lowering utility costs. Radiant floor heating is available in most situations. 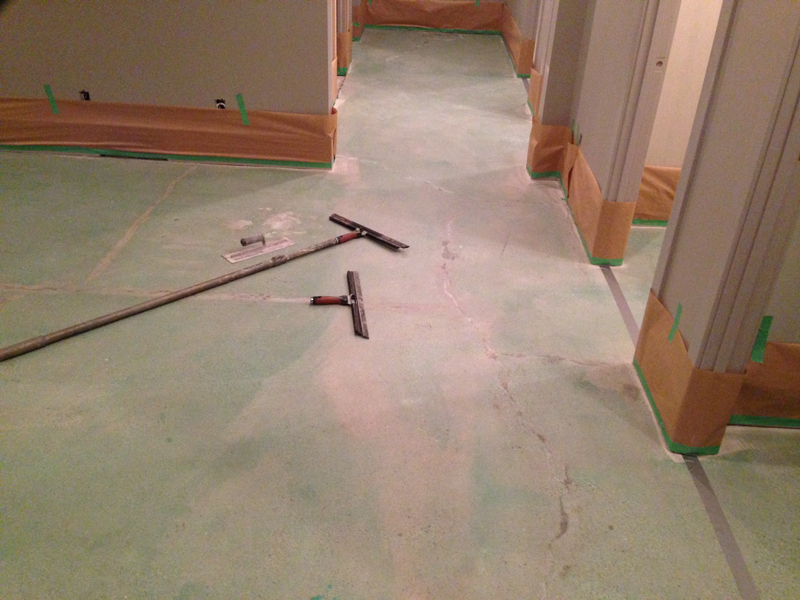 For newer floors or complete renos, cable forms are installed in the concrete slab when it’s poured, but for but already existing concrete floors, mat form can be embedded with a quick and easy installation in thin-set cement. 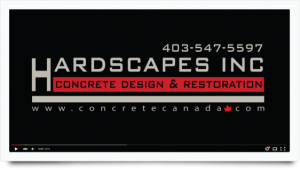 Call Hardscapes at 403-547-5597 to discuss how radiant heated concrete can be installed anywhere in your home or garage. Time to freshen up your commercial/industrial flooring? With our attention to detail and high level of customer service, we take pride in every project we undertake! We’d be happy to discuss your situation and give you a recommendation that’s just right for you! Get in touch today at 403-547-5597 for a no-obligation quote.